Don’t miss another Meridian article. Sign up for updates here. If you did not see our original photo essay on the Provo City Center Temple, please click here. The Provo City Center Temple was dedicated on Sunday, March 20, 2016 in three sessions by Elder Dallin H. Oaks of the Quorum of the Twelve and by President Russell M. Nelson. All sessions were broadcast to the stakes and districts in Utah and the three-hour block was canceled for these sessions. The sun is just bursting over the mountain on this Sunday morning as the choir, lined up on a riser, are singing “On this day of joy and gladness” just outside the Provo City Center Temple. Some people have been here since 7:00 in the morning to catch a glimpse of the coverstone ceremony. Among them are children, dressed in their shiny best, hoping that they might get a turn to put mortar in the stone. Snatches of lyrics from the choir are shed upon the air. “For the prisoners shall go free.” “Alleluia, alleluia.” It is a spirit of rejoicing that is tangible, a time, when just for a moment, heaven touches earth—and everyone can feel it. It’s the first day of spring. This temple dedication will be carved into memory and become one of the legends, like the Willie and Martin handcart tragedy, that is remembered in coming generations. 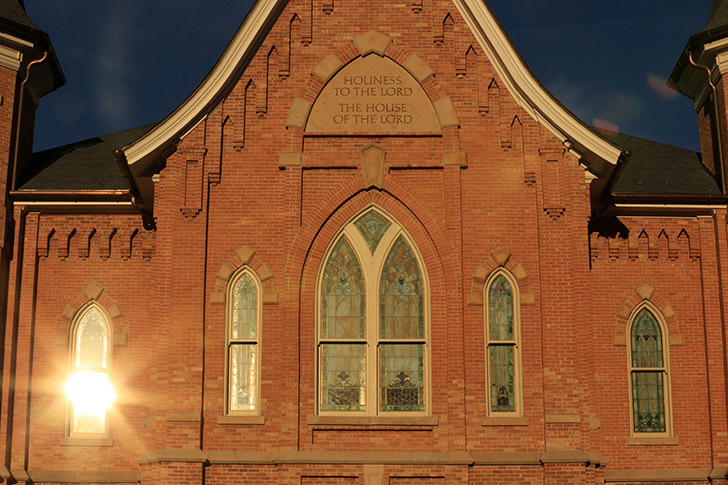 In this case, it is because hearts were broken when on December 17, 2010, smoke poured from the windows of the beloved Provo Tabernacle and fire gutted its interior. People stood in the streets weeping. Yet ten months later President Monson announced that the standing walls of the Tabernacle would not only be restored, it would become a temple. Audible gasps filled the Conference Center, and one woman said, she could feel the shouts of joy coming up from the souls of her feet and filling her entire body until it could not be resisted from escaping through her mouth. She shouted for joy. No one missed its meaning for our personal lives, where the Lord takes our burned out interiors, sunken in soot, and transforms us through his incomparable gift of the atonement. Every time we saw this building as it was first shored up, then strengthened with steel and concrete, then beautified and finally sanctified, its personal symbol for our own lives was unforgettable. Our temples today use the cornerstone also as a symbol of the Lord Himself. It is in the southeast corner, the highest point of light. Today adding the coverstone is our representation of the symbolic completion of the temple, according to Elder Dallin H. Oaks. At the dedication, Elder Oaks and his wife, Kristen, Elder Lynn G. Robbins and his wife, Jan, Elder Kent F. Richards and his wife Marsha, and members of the new temple presidency left the first dedication ceremony to come outside for the coverstone ceremony. At all temple dedications these are happy moments where the Brethren banter for a few minutes with the crowd, often about the sheer difficulty of placing the mortar in the thin outline around the cover stone. Elder Oaks said, “It is customary for us to have some representatives of the rising generation who will be using this temple for the decades and centuries to come” to add mortar. It is a gesture to have this temple be inscribed on the hearts of the children. Dylan Edwards, 12, and his younger sister, Malaia, 7, were selected. Dylan said that adding this mortar made him feel really warm and that is was a once in a lifetime opportunity. Dave, their father said, “We came early this morning, hoping maybe they might have this chance. Elder Steve Lund, who has had the massive job of being the coordinator of the temple open house, cultural celebration and dedication, has had a view of the construction of the temple from his corner office just above the site. He said that he was just “slack-jawed at the engineering marvel that was going on. To be able to excavate 40 feet under a standing building, creating a foundation that is tight as a dish, and filing it up with sacred space” was astounding. “What they had to do was go into that compromised brick structure and line the insides with steel and concrete so that is was so completely stabilized it could have rolled down University Avenue. “You have many thoughts looking at it. You think about the old pioneer craftsman working on that building who did not know they were actually laying the brick for a future temple. It would have been a sweet thing for them to know. 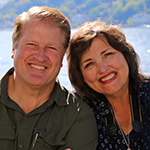 “My wife loves to point out that temples are put together with the best we have to offer. Back in the 1880’s pioneer craftsman, using rudimentary tools and pioneer materials built the most interesting structure of which they were capable. Flash forward to now. We are just trying to approximate that same commitment to excellence. All we were trying to do was what they were trying to do then. Nearly 40,000 volunteers have been involved in the open house and cultural celebration with 800,000 visitors visiting the temple. Elder Lund said, “On the last day, we did a little polling, frankly thinking that 9 weeks into this thing, we were probably getting people coming for the third time, but it appears that 80% were coming for the first time and the other 20% were returning so that they could bring someone with them. One Jewish lawyer told Elder Lund, ‘You know this is a beautiful building, but what you must be congratulated on is the wonderful spirit that you captured inside those walls. In there it feels like when you are in an intimate moment with your family.’ At that point he burst into tears and walked outside of the room. He could say no more. For Elder Lund, something was particularly sweet. On her mission to Korea, his daughter met another American from Detroit who was there teaching English as a second language who joined the Church. When she was admitted to the BYU MPA program, she came out to live with the Lunds, fell in love and married in the Provo Temple. Of course, these can be painful moments for parents and siblings who can’t go to the temple. But this wedding coincided with the Provo City Center Temple open house and Elder Lund was able to take them through. He took them to the brides’ room and to the sealing rooms and explained what a temple was all about. He told them that over the altar they were creating something that would outlive the stars. “It seems to have taken some of the sting away,” he said. A blind person came through with a companion who was whispering all they way describing what they were seeing. “He was not able to see, but he was still partaking of the Spirit,” Horstmeier said. Often Horstmeier volunteered during the day when many older people were volunteering as well. “They were often not very mobile, and I’d worry about them,” she said. “Normally they couldn’t stand for this long, but I had several tell me that while they were in the temple, it was as if their ailments were lifted. “In the temple, I find that I can do it,” they told her. So this temple, dedicated on Sunday, has already touched lives, but much more lies ahead. Immediately on Sunday night, all the furniture that had been cleared out of the temple for the open house will be reset in the rooms and the temple will be open Tuesday for its eternal work, including weddings. As of several weeks ago, already 1,700 weddings had been scheduled and that number has only swelled. Young men and women who have been waiting as long as four hours to perform baptisms for the dead in the Provo Temple, will now see that time diminished. This number 150th temple to be dedicated in the Church will continue the unstoppable Kingdom of God. Who can help but rejoice? My husband and I wept through this wonderful article. We are so moved by the whole story and its significance and are looking forward to going there very soon. This became our morning devotional and we appreciate the Spirit that jumped off the screen into our hearts.